This review is about item#1244915. I put a pen hook on my own for work clothes. Because the pen tip is stored, clothes are hard to break and 0.9 is a little thick so you can do most business if you use B or 2B core. I wanted you to put out the product with metal pen hooks if possible. This review is about item#1244897. As expected. Ease of writing is perfect. I can completely replenish the core without detaching the cap that the pen tip is stored, I like it completely. 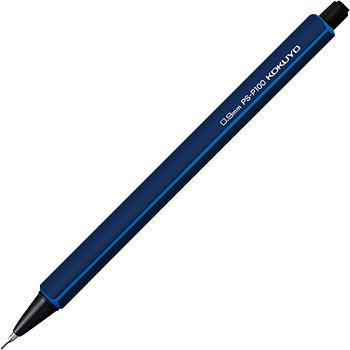 Because it is a pencil, I want a clip if I want a desert Kedo, is it a pencil? It is! This review is about item#01244906. It is too thick because its core is thick. It is recommended to use harder than the usual pencil lead. This review is about item#01244897. For the price, it can be used normally. It is hard to break and feel like writing really with pencils. This time, I bought 0.9 and 1.3 but 1.3 was too fat, so 0.9 is favorite.